France’s highest court has approved a 75% tax on high earnersthat is one of President Francois Hollande’s signature policies. But the government modified it to make employers liable for the 75% tax on salaries exceeding 1m euros (£830,000). 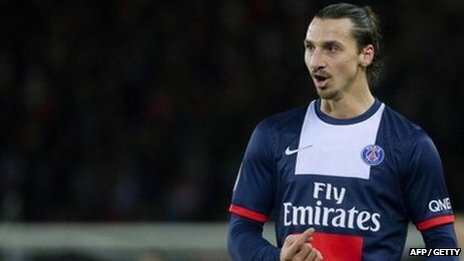 The Qatari-owned Paris Saint-Germain has more than 10 players whose pay exceeds 1m euros, including the Swedish striker Zlatan Ibrahimovic. There has also been a chorus of protest from businesses and wealthy individuals who have condemned the tax – including film star Gerard Depardieu, who left the country in protest. Unlike many other countries in Europe, France aims to bring down its huge public deficit by raising taxes as well as some spending cuts. The highest tax rate in the UK is 45% and is applied to individuals.